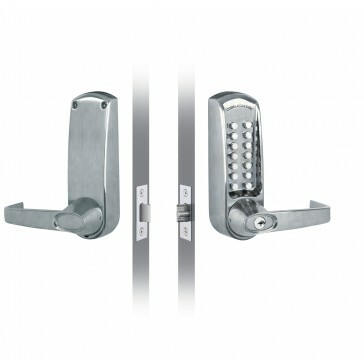 Codelock CL610 - heavy duty Quick Code digital front and back plates with mortice latch. 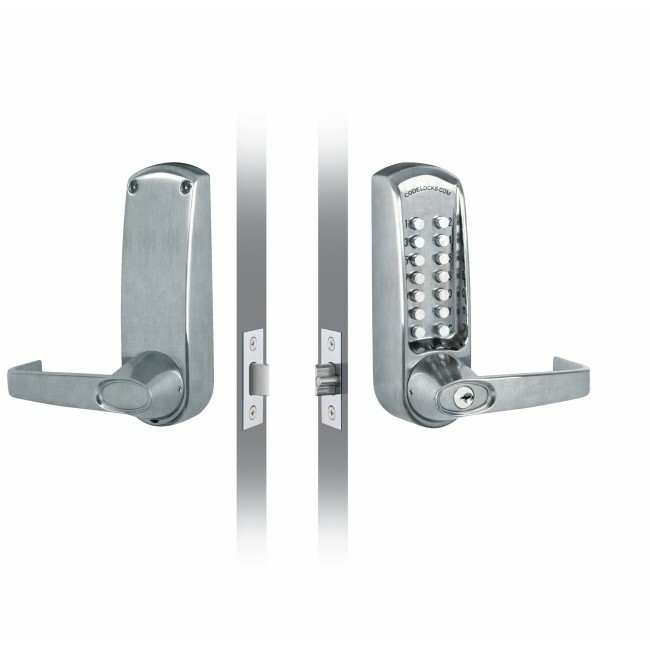 The CL600 range incorporating the new Quick Code system allows on door code change in seconds. PVD finish.